Going to a different country gives me some contrasting feelings. I am ecstatic because it has always been a childhood goal to go to foreign countries but at the same time, it breaks my heart to see how far Philippines is left behind. 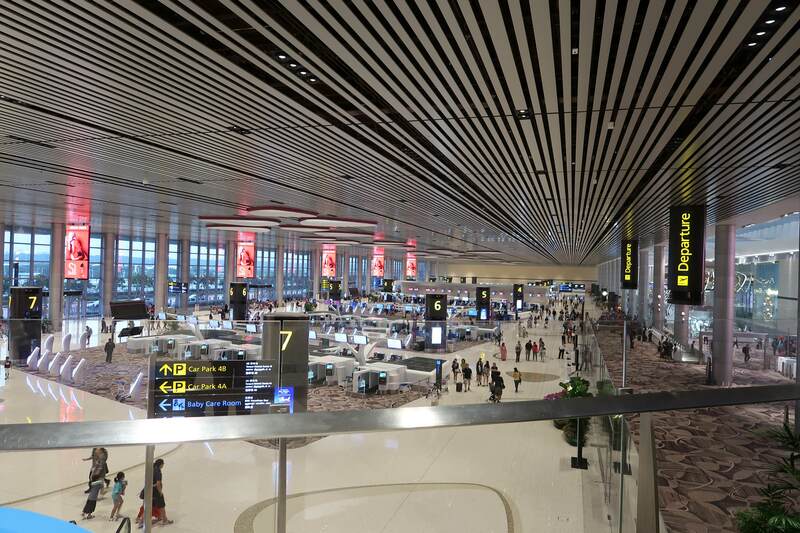 Changi Airport ranks as world's number one. It is massive, clean and relaxing. Most of its floors are covered with carpet that helps reduce the noise pollution and I think that's why it is not as stressful compared to other airports. Also, I can't help but to notice how spacious their toilets are, you will have no trouble of fitting in your luggage with you while you attend your personal needs. Outside, the purple plants serve as tiara to this airport royalty. I can just go on forever on how beautiful it is. It is quite weird to read about carpet, toilet and flowers on explaining how you appreciate a country but the author of this blog is quite a bit weird. 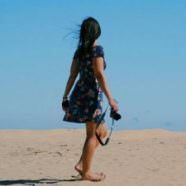 I like writing and being weird anyway. Below are some random opinions that you may find useful (or maybe not) about Singapore. Photo below: (1) Inside the Changi Airport Terminal 4 (2) Outside the Airport. It is indeed a garden city. Going around Singapore is quite easy as long as you have an online connection to google map. Maybe I find the transportation easy because I enjoy navigating. Considering the number of times I got lost in Sydney, I wasn't too scared of getting lost anymore. 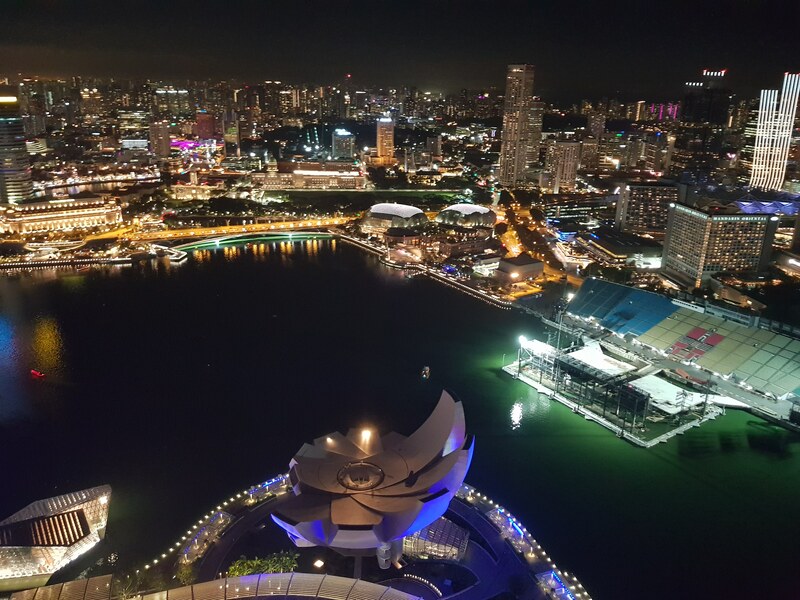 Besides, the vibe of Singapore makes me feel safe and secured. No worries at all. To add, I love the double-decker buses. Its large windows are one of the best ways to see the city. Another highlight that I really adore with Singapore is that there are a lot of buses and train rides, and they arrive in short intervals. Don't get me wrong, I love Sydney, but the public transportation especially Sydney buses could sometimes be very frustrating. 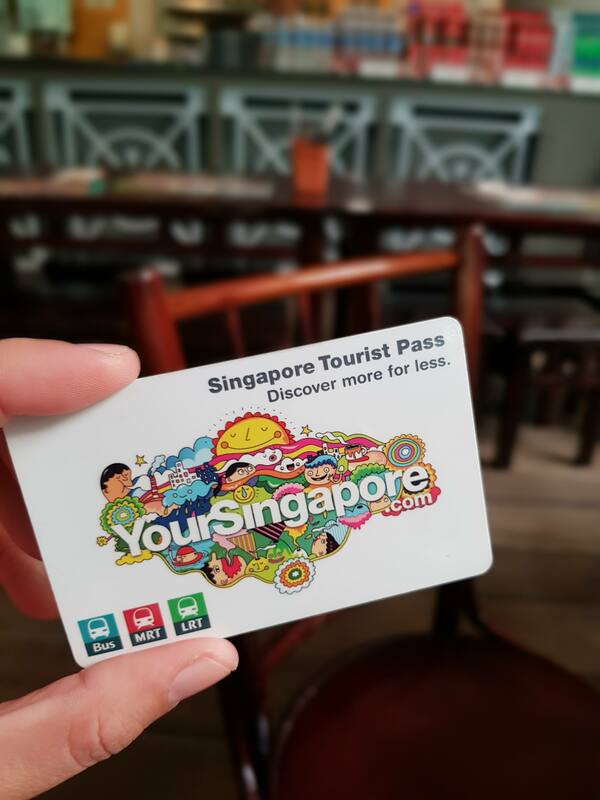 TIP: We used the Singapore Tourist Pass for Unlimited Train and Bus rides. It can help you save some dollars and gives you convenience. I did try riding the taxi for few times because I wanted to go to a certain place in a short span of time. However if you are touring around, it is actually nice to use public transportation so that you would get to know the city more. 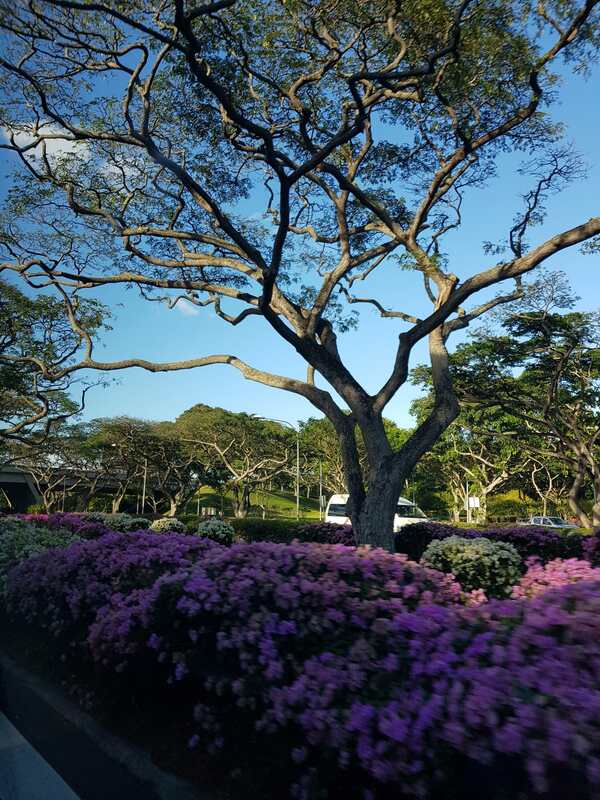 Side Story: I have heard a lot that Singaporeans would be too busy to say hello to strangers but there was a time when we were riding a bus, an old man approached us and asked where we were going. He did give us some tips on when is the best time to go there and where else we should go. 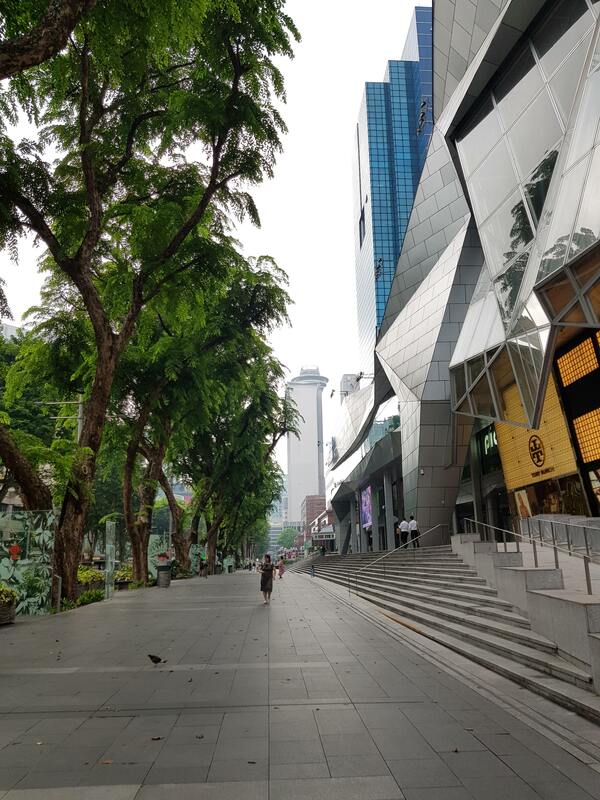 I find that an interesting encounter because it changes my notion and contradicts of how other people told me about Singaporeans social attitude. 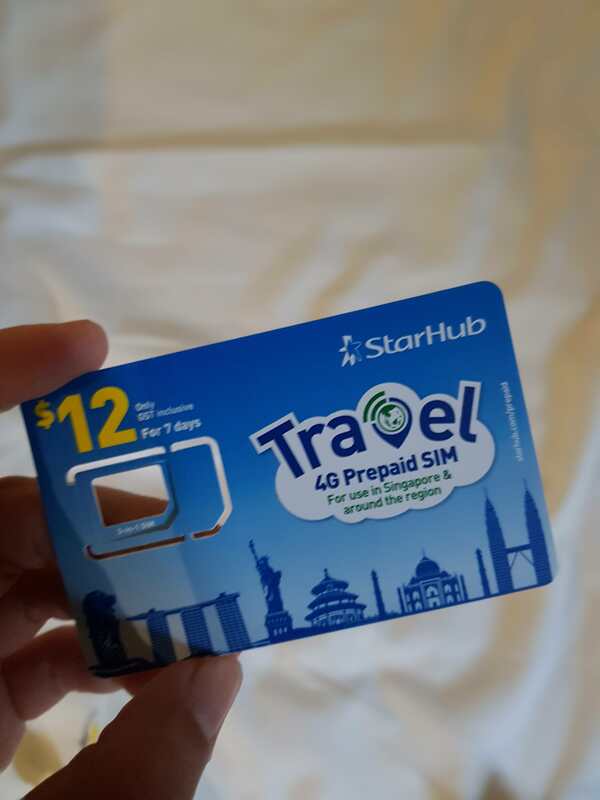 You can get a local sim with internet service by first buying it online and then claiming it in the airport when you arrive or you can buy one from the nearest seven eleven shop from your hotel. I was beyond ecstatic to get the 100gb $12 deal. It was valid for 7 days and I can even use it if I fly to Malaysia. Aside from that, the internet is faster than a bullet train. I honestly kid you not. While I was in Philippines, I was forced to buy 4gb for $15 (Php600) since I had no choice because I need to contact people. Okay, I can live with that. Holiday is physically experiencing the place and not to use phone all the time to scroll social media. But how slowwww the internet speed was slowly killing me. In Australia, I am used to the $45/14gb/month plan. That, versus Singapore's $48/400gb/month + faster internet. No need to elaborate who wins this round. Here is the part which I am proud of my hometown, Davao, Philippines. My home city may not have as many as beautiful flowers and trimmed trees in Singapore but we are not that far behind when it comes to tidiness. Just a random fact: Do you know that it is prohibited to chew gums in Singapore? You could stay in jail for 2 years if you were caught selling one. 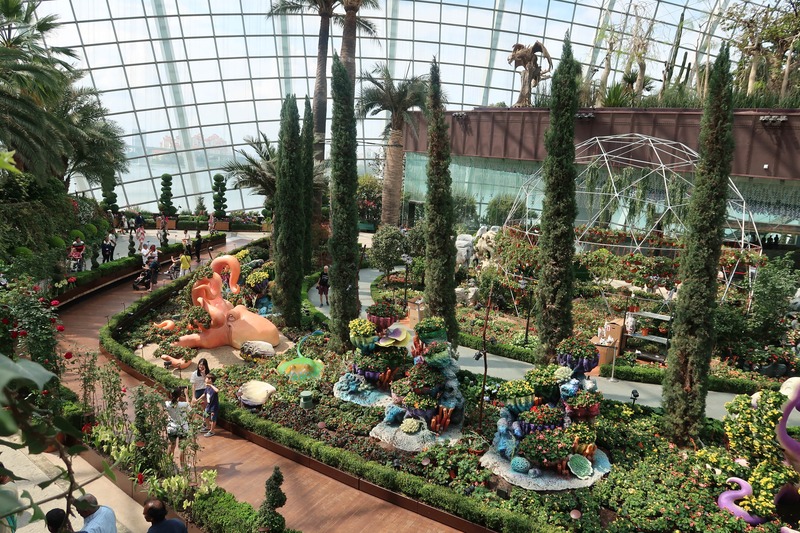 Photo Below: (1) Inside the Flower Dome in Gardens by the Bay (2) Colourful neighborhood in front of our hotel. Don't convert or you will get hungry, this is one of the realities in life that is hard for me to accept. Most of the time, the conversion is around: 1 Singaporean dollar = 1 Australian Dollar = 39 Philippine Pesos. 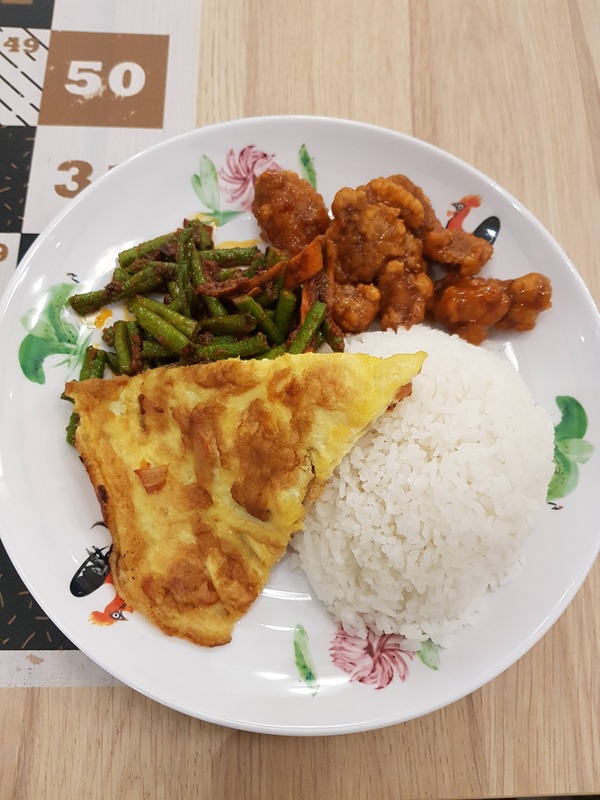 When I was at Changi Airport, I thought I was still in Sydney because most of the prices were almost the same but after a few moments of looking around and exploration, I have discovered that there are actually good servings of meals less than $10. Oh well. When you go on holidays, you are spending your disposable money. 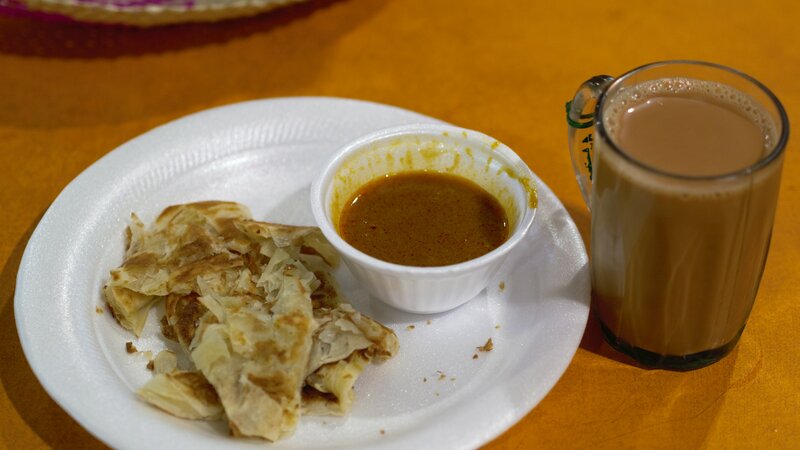 Singapore has a mix of Malay, Chinese, and Indian foods. Before I went to Singapore, a Singaporean friend of mine made a list of foods that I should try. 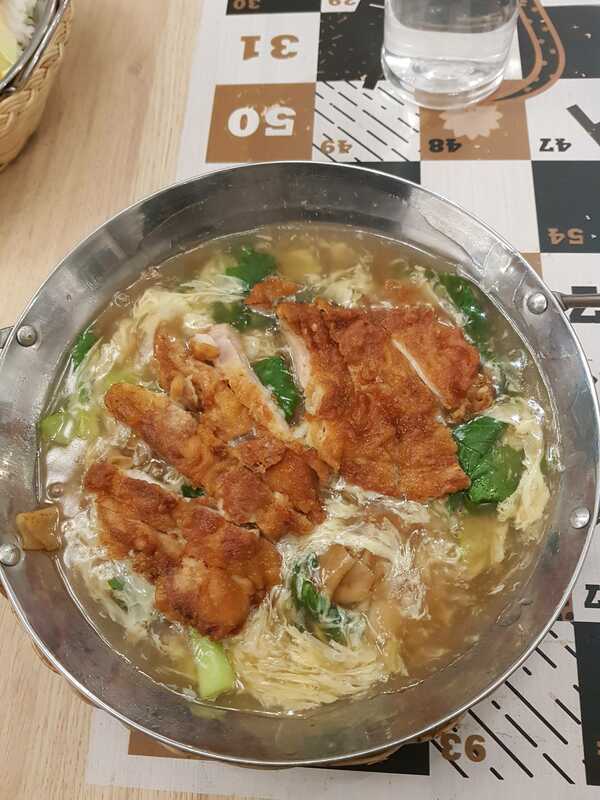 First on the list was the famous rice chicken that everyone talks about. Then there's Carrot cake that is not carrot nor a cake and its color is black. The taste was not as weird as how I describe it. 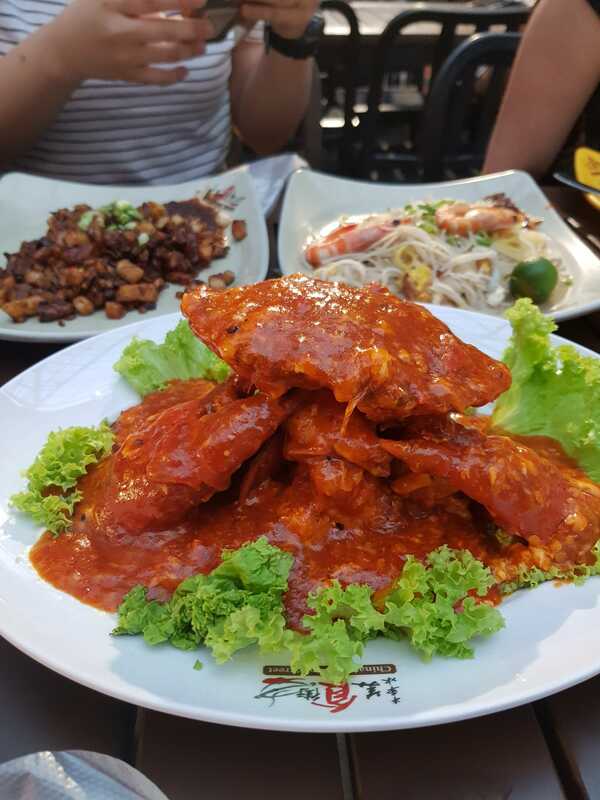 Also, chili crab for those who love sea food. But what surprised me the most is that I enjoyed the Indian Pancake --- I still need to do another research on what is it called. 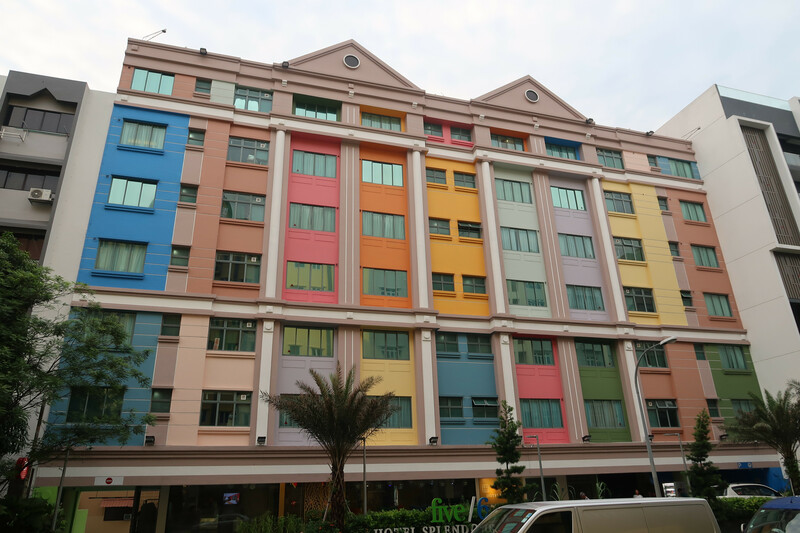 Since Singapore is quite near to Philippines and there are a number of Filipinos living in the country, I was not shocked to know that they have a “Filipino Mall” also known as the Lucky Plaza. It is where we found the happy bee – Jollibee! I am not really an avid fan of the fast food when I was still living in the Philippines but when I left home, my taste buds have come to realise how Jolly hotdog makes me feel like I am at the comfort of my home. 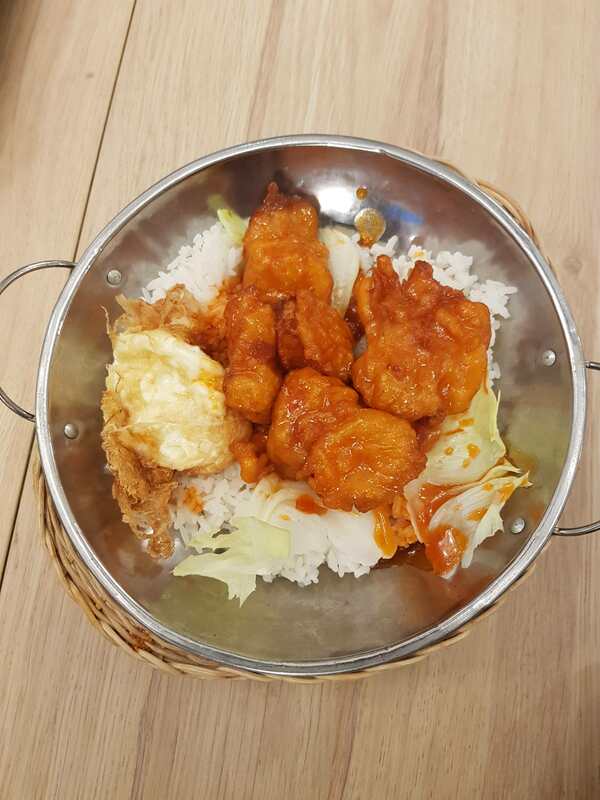 Photo Below: (1) Chili crab on front. Carrot cake and Singaporean Noodle on left and right, respectively. (2) My so called Indian Pancake. Can you help me figure it out what is it properly called? It is overwhelming, modern, futuristic, beautiful architectural designs. Any word that I would use could be understatement. The buildings look beautiful in the photos and it is even way much prettier in person. Singlish or the Singaporean English. Going around is easy because most of the Singaporeans speak English and they have a particular accent. Being exposed to multiple cultures, makes me more proud and appreciate my first Language, Bisaya. Language is one of those things that defines our identity. Sidestory: There was this lady in a shop that we always ate our breakfast who speaks strictly Chinese. However, she completely understands us when asked how much is the food and how much is needed to pay in total. Being in food business and as far as her English ability is concern, I guess those phrases are the only ones that are essential. I have lots more to say but this blog post has been long overdue. I shall spill some more beans next time. Maybe. Singapore, if you were a person, I think I would marry you.